Greetings from....: We have a winner! Well actually two! Since there were two people who guessed correctly they'll both get my Chase kit! So I had a lot of great guesses - and some of you know what some of my other favorite shows are - and some where shows I've never seen. Some of these guesses were: The Simpons, All My Children, Dukes of Hazzard, The OC, House, The Amazing Race, Prison Break. Entourage is one of my favorite shows. I discovered in June - thanks to HBO on demand and nextflix - and now the new season has started! 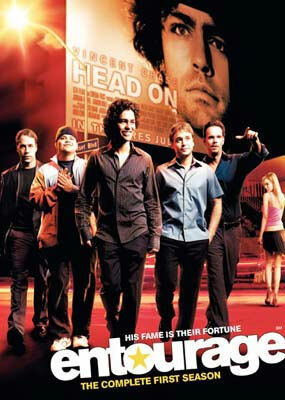 The main character is Vincent CHASE! And he's a movie star. And it's all about guys. And I got the ideas for the patterns from men's clothes. So there you have it - the inspiration! Lol! I know why I didn't win, because I've never heard of the show! LOL! Sounds cool though! Congrats to the winner! I didn't even participate, I get only German shows here, lol. Congrats Audra & Valerie. I must have been under a rock- or on vacation ;)- when you talked about this show cause I've never heard of it LOL! Looks like a pretty cool show, it sure inspired a cool kit! Congrats girls! I have never even heard of Entourage! I'm going to have to check it out now!